Remember to buy where you ride! Local clubs need your support. Snow Country has planned several snowmobile tours for you. Explore the Voyageur Route, the Madawaska Highlands Loop, the Round Bonechere Loop, the Calabogie Highlands Loop, or the Round Algonquin Park Loop. 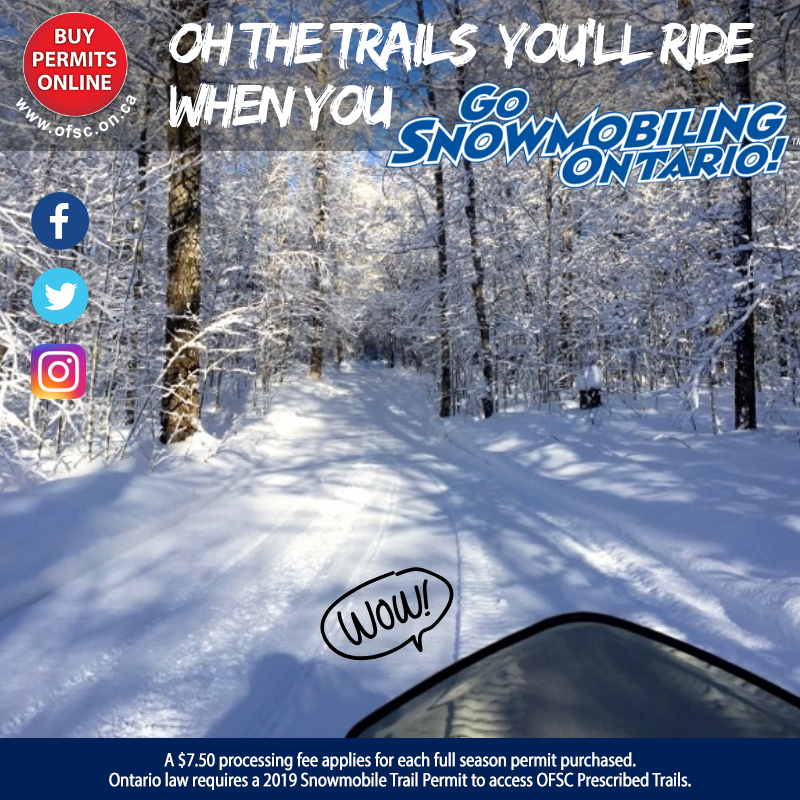 Click here for the brochure with trail maps! Take a snowmobile tour to remember on our Round Algonquin Park Loop (5.8 MB). We have the route and great places to stop or stay along the way! Over 900km of spectacular sledding wait to be discovered. Take 3 or 4 days to enjoy our winter playground.